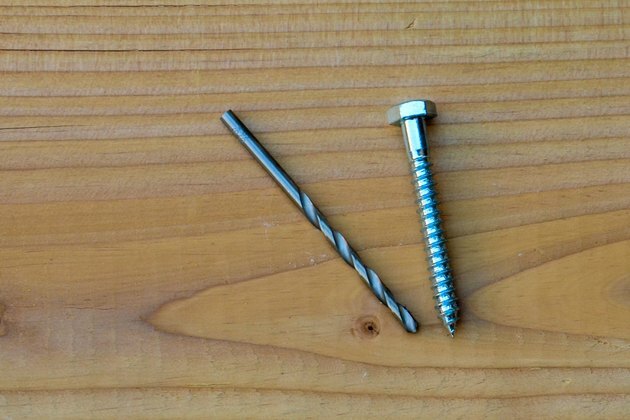 Lag bolts -- also called lag screws -- have been in use for many years to join larger pieces of lumber. Simplicity is part of their success; they don't need nuts. They work by burrowing in with course threads to create a type of friction joint. The secret to strong, permanent lag bolt joints is the right drill bit for the shank size, and a different bit for the threads. It also depends on the material you're working with. Clamp together two pieces of wood the sizes of the ones you want to screw together. Measure the width of the combined pieces. 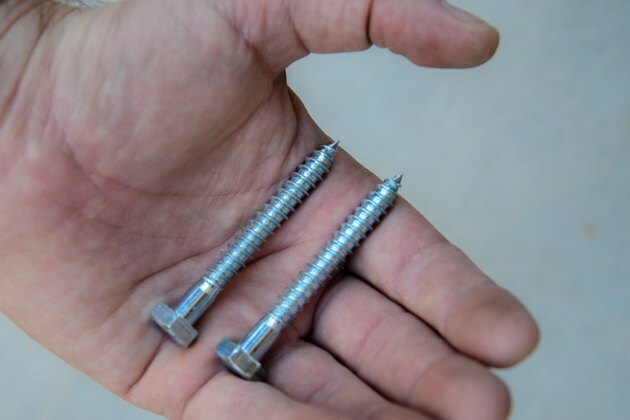 Select a lag bolt that's 1/4 inch shorter than the accumulated width of the two pieces. In most instances 5/16-inch-diameter lag bolts are sufficient. For larger or heavy-duty joints use a 3/8-inch-diameter or bigger lag bolt. 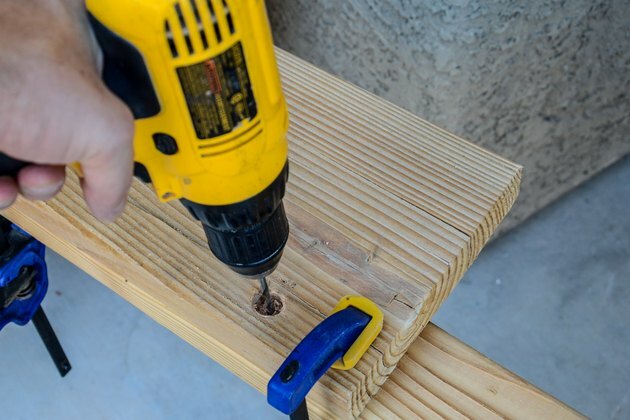 Insert a drill bit into a drill/driver. The rule of thumb is to start out with the same diameter bit as the shank of the bolt. The shank is the smooth part of the bolt below the head. For example: If your bolt has a 3/8-inch shank use a 3/8-inch bit. 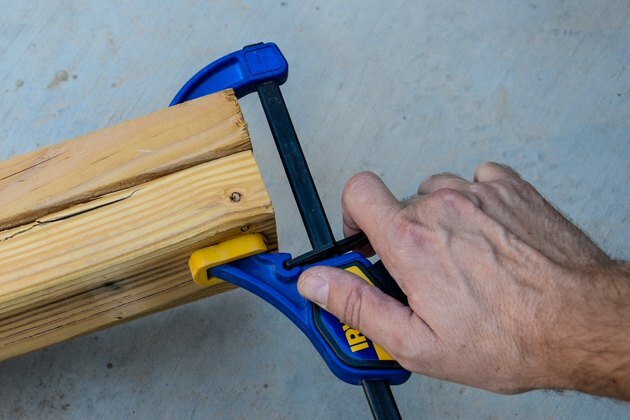 Drill through the first piece of wood. Do not penetrate into the second piece. Insert a 1/2-inch Forstner bit into the drill/driver and drill into the hole to a depth of 1/2 inch. This is the countersink hole to hide the head of the bolt. 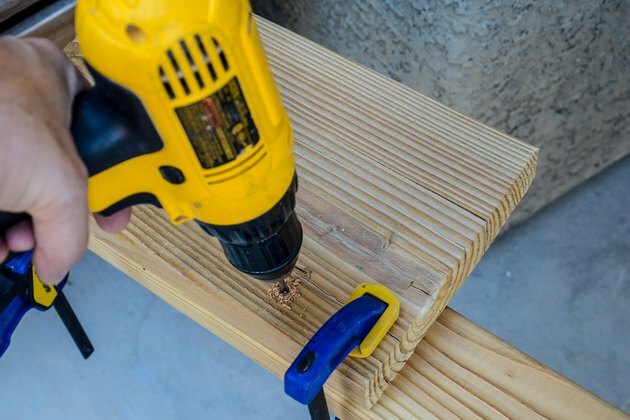 Insert a 3/16-inch bit into the drill/driver for softwood. Insert a 7/32-inch bit for hardwood. Insert the bit into the hole and drill through the second piece of wood. 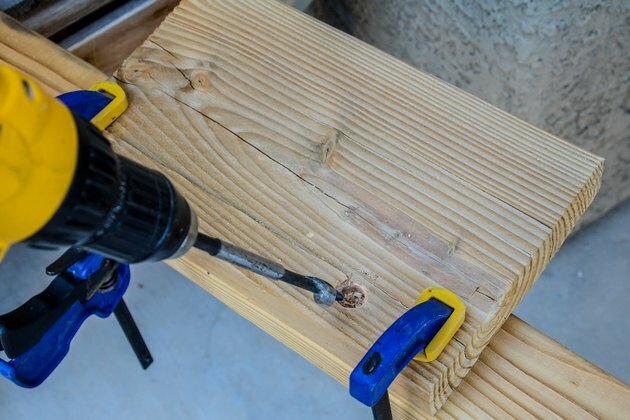 If you don't want to drill out the other side, place a piece of tape on the drill bit to indicate a stopping point 1/4 inch before breaking through. Insert the lag bolt into the hole. 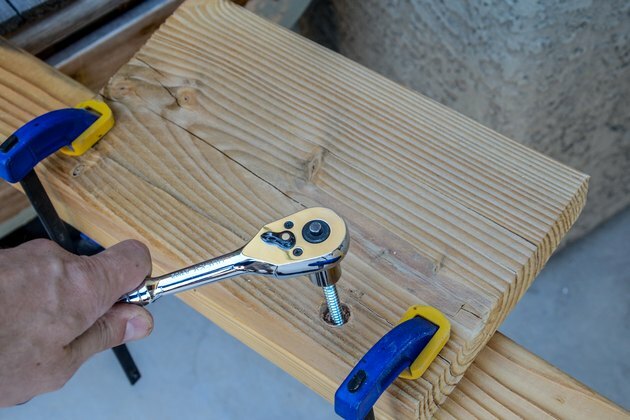 Use a 3/8-inch socket and ratchet to drive the bolt flush into the countersunk hole. Remove the clamps.